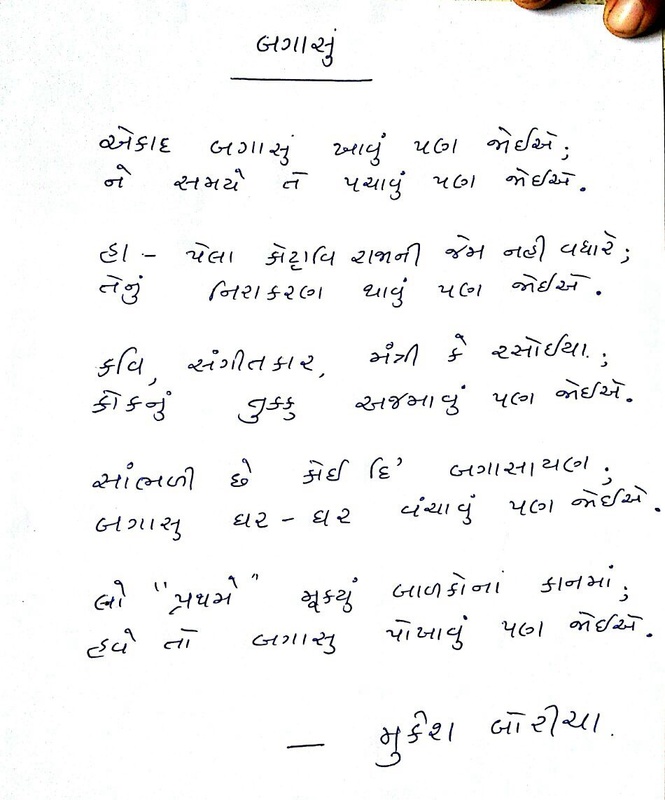 As Pratham Education Foundation, our staff – teachers in Gujarat are always curiously awaiting for the International Literacy day. For us this day’s celebration through Story is much more than just telling a story on the day. 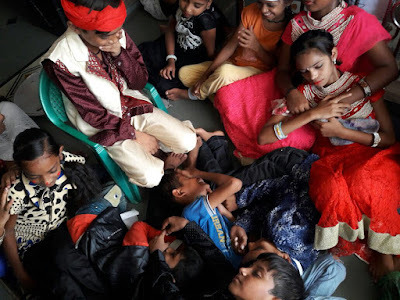 The celebration involves preparation like other social festivals – Our volunteers preparing themselves - revision of their knowledge around story, getting things pre prepared and organized in order to create a joyful environment among children, listeners on the day of story. 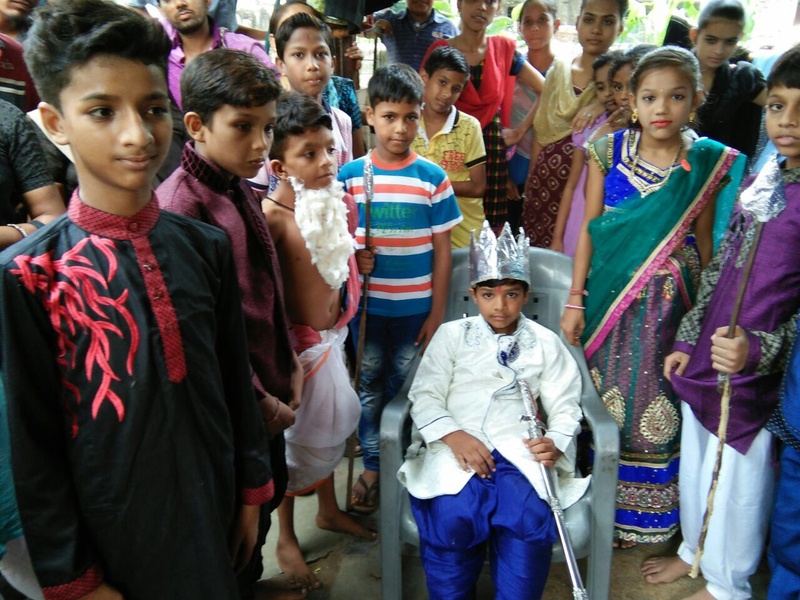 The Story Kottavi Raja and his Sleepy Kingdom was spread out to 84 places through reaching 3500+ children of preschool, primary and upper primary age group. At many events the parents, community and school teachers were part of the same. The story was edited slightly and presented with variations targeting the kind of audience. 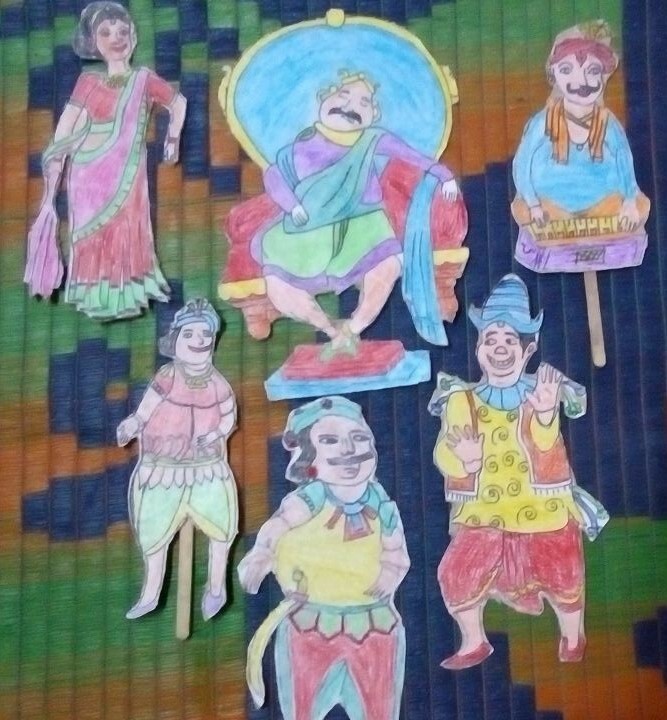 Preschoolers had been told the story orally by using puppets. Children of primary schools were also told the story orally by using book and pictures from story. For children of upper primary classes, story reading and role play of story was done by upper primary students. 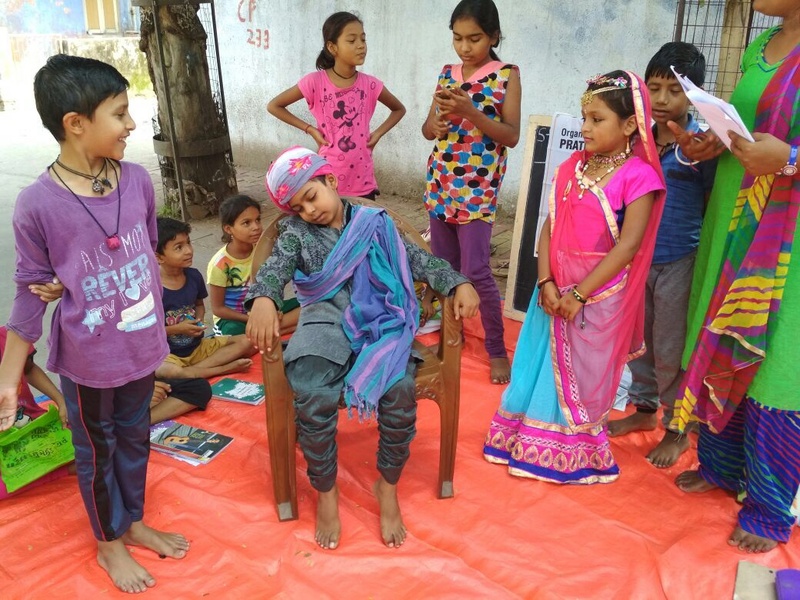 The role play was performed by the students to their parents, community and fellow mates. It was indeed a pleasure to receive the diverse observations from these events and would like to share them as follow. The children have enjoyed the edition of this particular sentence to the story, “And, still…..the King did not feel sleepy!” And the dialogue was narrated by teacher with gestures considering children’s involvement, this gave a fun element to the children, and held them on the story from beginning to end. The young kids were not aware of the story characters other than King, Queen and a Jester. Still we were surprised with children’s observations about these characters. After the storytelling session, when the children were asked questions, they could mention the character with some specific symbols than their names/position. For instance, there was a Prime minister character. Children did not know who this person is and his role to King’s kingdom. However they recognized him as a man with sword in his costume as they observed from the puppet. After the session, activity related to story was done. Children made colourful drawing of the gifts, which the King wanted to gift to people who gave him suggestions to get a good night’s sleep. 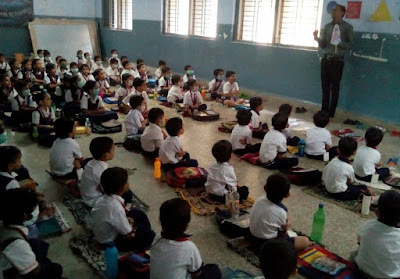 The children/students were observed to be curious to know what next in the story while story narration/ drama was going on. Few children were very surprised when they heard about the sleepy king. They had never thought of a king who would not get sleep! 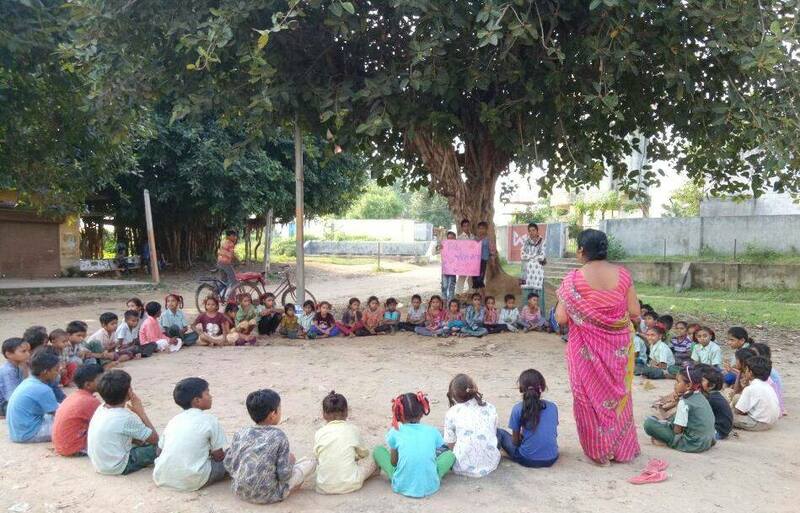 Children were pleased to learn the new word “Kottavi”. The story for drama was edited little bit by upper primary students, like, the ministers weretalking about the complex problem - they used current problems instead, like Swine flu problem was described by them during their play-act as Gujarat – Ahmedabad is affected highly by the disease. When the children were asked about their suggestion to king for sleep then they suggested book reading, watching television. There was much laughter when a young child suggested to king to do homework. 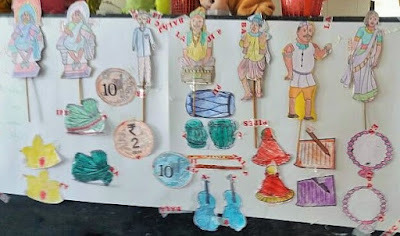 The story created so excitement that it got percolated from one child to other child/children, from a teacher to some more teachers, children. The story role play was done in the different communities and the dwellers, parents were good supportive to the event in order to create a space, gathering all other community children and parents. The children got so engrossed in story’s role play that they have managed to wear clothes so close to each character and getting things ready to use while enacting. It was a fun moment at one of the event, when the king character actually had a full plate of food and big glass of milk while acting. Many children, parents, community and school got aware first time for the International Literacy day. Post story activity was also done in various ways. Drawing and coloring the story character, talking about favorite character, giving their views to king for getting sound sleep andimagine own self as the king and role to be performed. Many story tellers have committed their happiness while telling a story and also while doing preparation. 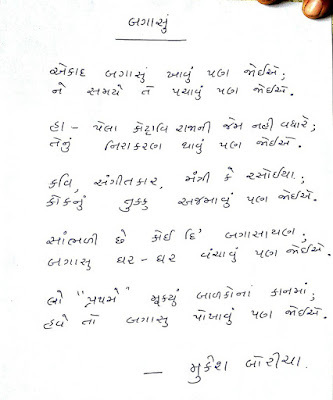 An interesting poem was created by one of our experienced teacher on this story. 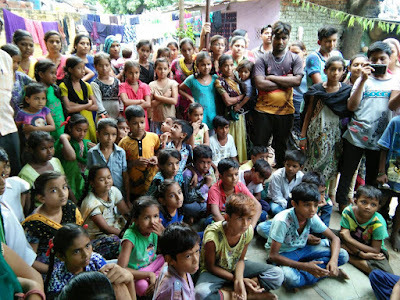 Thank you Pratham books and to this event to give this innovative, beautiful story to feast across many children in Gujarat! 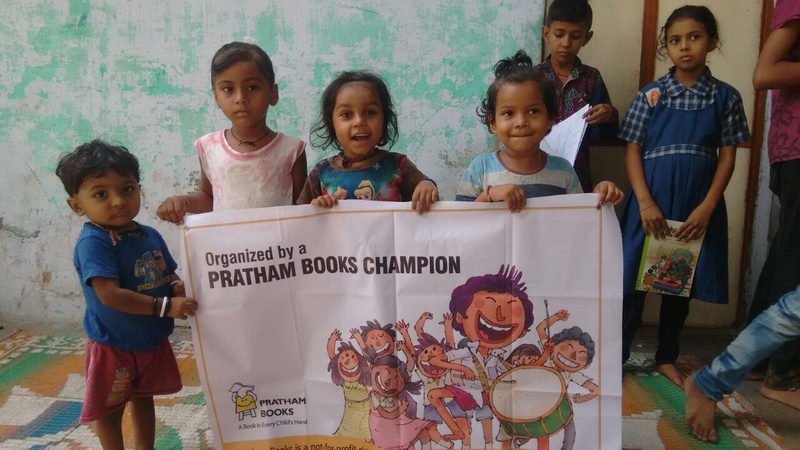 In its sixth edition of the 'One Day - One Story' campaign, Pratham Books was joined by 5700+ storytellers who conducted 6300+ storytelling sessions. Many, many steps towards a 'Reading India'! What started as a small step by Pratham Books to spread the joy of reading has become a movement. 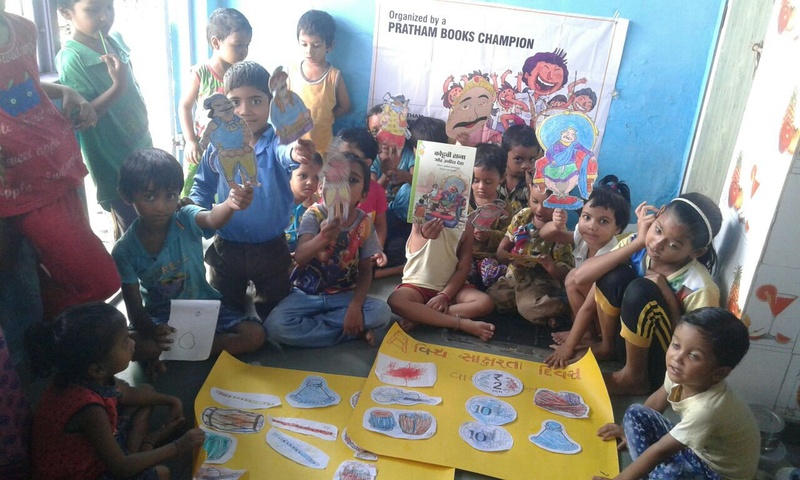 In 2012, Pratham Books initiated the One Day-One Story initiative on the occasion of International Literacy Day.